INSANE OCEAN VIEWS (and the chance to swim in Bass Lake!) as you backpack to Pt. Reyes' most coveted backcountry campsite. HANDS-ON TRAINING so you can show off your skills next time you pitch a tent (we'll make sure you look like you've been doing it since you were three). *Click here for a map and distance/elevation profile. *Exact return time depending on traffic and hiking speed, but plan on a mid-afternoon arrival. 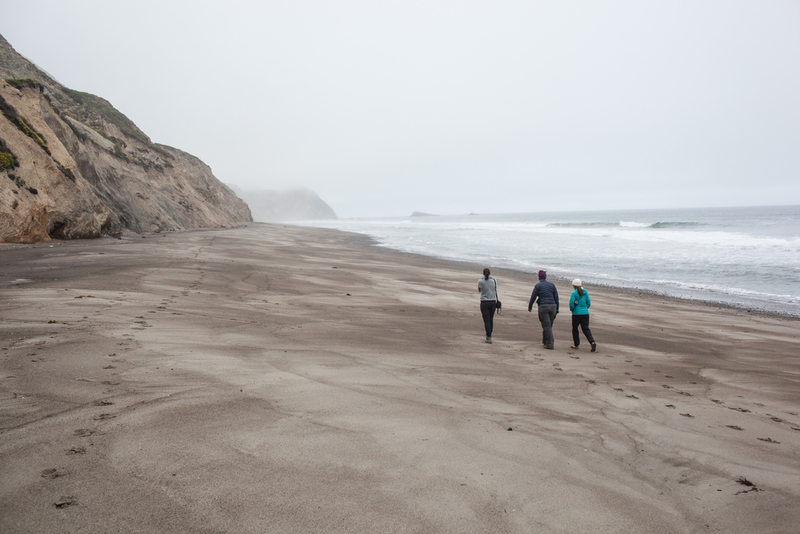 Backcountry campsites in Point Reyes feature potable water and pit toilets, so you won't be pooping in the woods. We will, however, teach you proper woods-pooping protocol, so you're ready when it happens. You're responsible for your own transportation to and from Trail Mavens locations, but we'll help coordinate carpools or shared rentals for women leaving from the same area. Passengers will contribute to owners/drivers to cover the cost of gas and wear & tear, or evenly split the cost of the rental. This cost is not included in your trip investment. Book flights arriving on Friday evening, and departing no earlier than 10pm Sunday night, or Monday morning.